I'll be in Chicago most of this week, and I think there is a lot more jazz going on in the Twin Cities. I am looking forward to finally seeing the relocated Jazz Showcase and Hiromi's solo piano gig there... although she will be coming to the Dakota the following week. 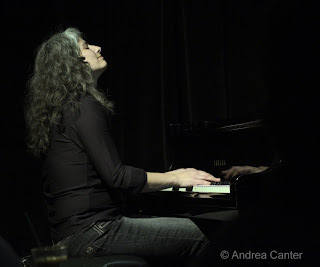 But I'll be around home this weekend, which means two nights with one of my favorite pianists, Rick Germanson (2/26-27). He's here so often he is almost a local act. He's been at the Dakota with the Cannonball Adderley Legacy Band, but most often it's at the Artists' Quarter. This weekend he shares the stage with Adam Linz on bass and Kenny Horst on drums, two more reasons to head to St. Paul. Rick has a wide range of performance chops, but is also a serious composer. Across the river at the Dakota, Nachito Herrera holds his monthly Havana-fest with his usual suspects. You can always count on at least two things with a Nachito gig--a large crowd and a fiesta atmosphere. And of course some flamethrowing piano as he covers the range of modern and traditional Cuban music. Stay late on Saturday night to catch the Atlantis Quartet, one of the most adventurous yet accessible bands in town. Jazz brunch comes in many forms, often Dixieland or swinging vocals... but Fat Kid Wednesdays? Here's an inspiring and provocative way to start you Sunday--at Hell's Kitchen (2/28). Definitely suggests moving away from pancakes as usual. 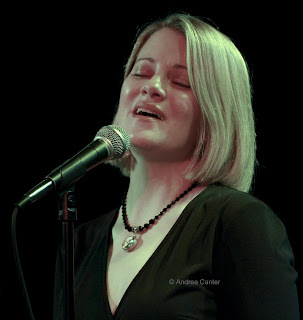 Mary Louise Knutson, one of the true masters of melody and trio interaction, will be on stage at the Bloomington Center for the Arts on Sunday afternoon (2/28), part of the Twin Cities Jazz Society's Jazz From J to Z series. Her partners in "Spotlight on Melody" include Chris Bates and Jay Epstein. Take a break from the Olympics and hear some new compositions from an award-winning composer/pianist. It's been about five years since the amazing guitarist Charlie Hunter was on stage at the Dakota, and now he's back for one night Monday (3/1). Fat Kids have their usual slot at the Clown Lounge Monday night, while the double header on Tuesday (3/2) features the recently reunited Illicit Sextet and Atlantis Quartet. Enough to keep great jazz brains awake into the wee hours. For earlier and more relaxing sounds, Lee Engele sings Tuesday night at Hell's Kitchen. Something a bit unusual at the Black Dog on Tuesday and Wednesday (3/2-3) with French free jazz cellist Didier Petit in varying combinations with Nathan Hanson, Adam Linz, JT Bates, Milo Fine and British vocalist Viv Corringham. And on Wednesday night, sample Didier's French cooking as well as his music when he prepares dinner! A highlight I will miss is the debut of Bryan Nichols' nine-piece "We Are Many" ensemble as part of MacPhail's "Jazz Thursdays" series (3/4). Always seeking new ways to combine sounds and melodies, Bryan has written new compositions for multiple horns (Happy Apple's Michael Lewis on sax along side dad Greg Lewis on trumpet, Chris Thomson on sax, Stefan Kac on tuba) guitar (Jeremy Yslvisaker), two bassists (Adam Linz and James Buckley), drums (JT Bates) and the leader on piano. In addition to the new works, there will be collective improvisation--in this case, spontaneous combustion. There's a Q and A session with Bryan an hour before showtime. There's always a lot more and more I should mention, but I am short on time this week and instead will steer you to Pamela Espeland's jazz calendar at www.bebopified.blogspot.com. 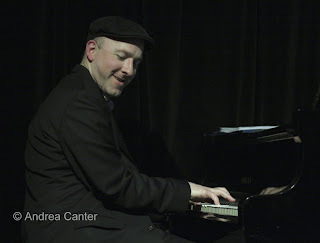 And watch for coming attractions-- Matt Wilson's Arts and Crafts at the AQ on March 6th; Hiromi's solo piano at the Dakota, March 8-9; Dave King for Two Days at the Walker (with Bad Plus, Happy Apple, Buffalo Collision, and more), March 12-13; Regina Carter at Ted Mann, March 15.